This series of four CuriosityStream videos, featuring our darling Dr Michael Greger, provides such as good overview of the health benefits of plant foods, as well as insights into how delicious plant foods can be as central features in our daily meals, that I thought it would be useful to show each video along with a transcript – just so that any useful links can be easier for you to copy and look up at your leisure. Part 3 celebrates the bounty of beans. People featured in the video are the narrator Craig Sechler, Dr Michael Greger, Chef Rich Landau (Vedge Restaurant), and Tracye McQuirter MPH. (Chef Rich Landau) I wanted to eat really good food, the kind of good flavours that I was used to, and so I taught myself to cook and to get those meaty, smoky, delicious, soulful flavours into my cooking. (Dr Michael Greger) The intake of legumes is probably the most important dietary predictor of survival in older persons around the world. (Tracye McQuirter) We should include nuts in our diet just as we should include beans. They’re loaded with fibre, they’re loaded with antioxidants, they’re loaded with phytonutrients, packed with protein. (Dr Michael Greger) It’s not all or nothing, it’s not black or white. Any movement we can make along this spectrum towards eating healthier can accrue significant benefits. (Craig Sechler) Protein is a fundamental building block of life. We need it to develop and maintain our bones, muscles, and skin, to move oxygen to our lungs and fend off disease. Yet a growing body of evidence has shown that not all forms of protein are necessarily good for our health. Research has shown a surprising link between the amount of animal protein most Americans currently consume and the rise of many chronic diseases. Two long term Harvard University studies found that eating more red meat, in particular, was linked to greater risks of death from cardiovascular disease and cancer. (Dr Michael Greger) One of the most landmarked studies done published in Cell Metabolism followed thousands of men and women for 18 years and found that those who ate the most protein had 75% increased risk of dying prematurely. Fourfold increase in dying specifically from cancer, but not all protein, specifically animal protein. What we think is going on is that the consumption of animal protein, meat, egg white, and dairy protein, increases levels of something called IGF-1 in our body, which is a cancer-promoting growth hormone involved in the acquisition and progression of malignant human tumours. So that may explain why some of the largest studies on diet and health in history found that the incidence of all cancers combined was significantly lower eating more plant-based diets. (Craig Sechler) Despite the proven advantages of plant-based diets, eliminating commonly consumed forms of proteins, such as cheese, meat, and milk, can be a challenge. Fortunately, one of the most potent sources of protein sprouts from beneath the ground. For thousands of years, cultures around the world have relied on legumes, a class of vegetables that includes beans, lentils, and peas, as a major source for protein and other vital nutrients. (Dr Michael Greger) Legumes, beans, count as both the protein group and the vegetable group, so they’re packed with protein, iron, zinc, things that you’d expect from other protein-rich foods like meat, but also are packed with things you typically only find in the vegetable kingdom like fibre, folate, and potassium, so you get the best of both worlds when you eat beans while enjoying something that is naturally low in saturated fat and sodium and no cholesterol. (Craig Sechler) One recent study found that eating just a cup of beans, chickpeas, or lentils each day for three months could slow a person’s resting heart rate as much as spending 250 hours on a treadmill, a major factor in reducing the risk of dying prematurely. (Dr Michael Greger) The intake of legumes, which are beans and split peas and chickpeas and lentils, is probably the most important dietary predictor of survival in older persons around the world. Eight percent decrease in premature death risk for each daily ounce intake. If you look at the so-called blue zone areas, the areas around the world with the greatest longevity, the most people that live over a hundred, the one thing that all those areas share is legumes, actually, they eat bean-rich diets, and so we’re talking about the Okinawan Japanese, who are getting soy beans in the diet, or blue zone in Loma Linda, California, they’re all eating beans as an important component of their diet. (Tracye McQuirter) People see beans as boring and nobody wants to talk about encouraging people to eat beans, but they’re so healthy, and they’re so versatile, so inexpensive. The top beans that I recommend are black beans. The darker, the more nutrients they pack. So you wanna have black beans on a regular basis, and you can have that as a black bean burger, you can have that in a burrito, in a wrap. Make a large batch, four to six cups of beans on a Sunday, just put ’em on your counter, plug it in, cook it, and then eat off of that for the rest of the week. You can make two to three different types of beans on a Sunday. (Craig Sechler) Beans provide a feeling of satisfaction and fullness that rivals many animal-based foods. This has been explained as the lentil effect, or the second meal effect. The high fibre content of legumes prevents them from being digested as quickly as meat, keeping you satisfied longer, and their low sugar content prevents insulin from spiking in your bloodstream and making you hungry. (Dr Michael Greger) Legumes in general, like beans or lentils, are one of the lowest glycaemic index foods out there. So for example, if you eat beans for supper, the blood sugar spike you get for breakfast the next morning even if you don’t eat any beans in the morning, is lower than if you hadn’t been eating beans the night before. It turns out that there are prebiotics in beans. There are compounds in beans like fibre and resistant starch that our good gut bacteria eat, and so we eat a bean burrito at night, by the next morning, our gut bacteria are eating that same bean burrito and producing these compounds, these so-called short-chain fatty acid compounds that then are absorbed back into the system and have these wonderful beneficial effects. Chef Rich Landau is part of a revolution to move beans and other plant-based foods to the centre of our plate through more creative cooking. His goal at his award-winning vegan restaurant, Vedge, is to create alternatives to the mouth-watering animal-based dishes he loved as a child. (Chef Rich Landau) We really think a lot about what goes on the plate here. I find that most vegan dishes, when you go to mainstream restaurants, they’re very lean, they’re very high note. There’s lots of flowers and colourful oils, and little bits of herbs and little leaves, and that’s great, if you wanna just taste like the garden, but the two things we think of the most when we’re cooking, is this filling, and is this really really satisfying? The second they start saying, I’m doing something good for my body and the environment, we’ve lost it, because then they’re kind of justifying to themselves why they should be eating this. They’re eating this food because it’s delicious, because it has these layers of flavour that you’re only used to getting from a meat-based meal. You’re getting it from all vegetables because we cook them that way. (Craig Sechler) The heart of their approach is to search for plant-based alternatives that are both delicious and satisfying. Beans are one of the most versatile sources of protein and fibre on the planet. Today, they’re featured in a wide range of succulent dishes from around the world that are helping to redefine healthy eating. (Chef Rich Landau) I wanted to eat really good food, the kind of good flavours that I was used to, so I taught myself to cook and to get those meaty, smokey, delicious, soulful flavours into my cooking. As I got older, I really started getting into this, and I decided well, maybe there’s a market for this out there, maybe, you know, if you go to a health food store, it’s kind of healthy and hippie, and there’s kind of this preconceived notion that all vegetarian food is health food, and it’s bland, and it’s this hippie rabbit food diet. I thought that was a shame that anyone ever thought that way. Food is food, and delicious food is delicious food, no matter what’s in it. Beans are one of my favourite foods. This is one of these cross-cultural phenomenons that beans exist in every culture in so many beautiful ways, and there’s so much you can do with them. One of my favourite dishes in the world is actually made from yellow lentils, which in Indian cooking is called dal, and it’s called a mulligatawny soup. This is all about the texture of the lentils and the layering of the spices. You start with garlic, onion, and ginger, just the way any global dish starts. A little bit of neutral oil, we use sunflower oil, and you start cooking your onions and your garlic and your ginger in the oil, and you end up with this kind of paste at the bottom that’s full of all the flavour that’s gonna build the foundation of your dish. [I don’t recommend adding any oil] Then, you add your vegetable stock. Now, your stock is full of all these aromatics, the curry spices, the ginger, the garlic, all combining together. Now, you’ve built your foundation with the curry, now it’s time to cook the lentils, just until they break down, until they become really creamy, and without adding that much extra fat at all, you have this really rich-tasting soup because the lentils have unlocked all their starch and broken down into the soup. And it’s a great study in textures and flavours to make this soup because you’ve used such little fat and only one layer of seasoning and ended up with something so incredibly aromatic and something so rich, that you would never believe that there wasn’t 15 hours of labour into it. It’s so simple. (Craig Sechler) Nuts are another rich and satisfying source of healthy, plant-based protein. They’ve been a staple in the human diet for hundreds of thousands of years, but only recently have scientists started to quantify their many surprising health benefits. (Dr Michael Greger) The famous Predimed study found that adding just a small palmful of nuts to one’s daily diet for a few years can cut one’s stroke risk in half. A simple ounce of nuts, a palm full of nuts a day, is not just associated with better health but have been proven to improve health outcomes. (Craig Sechler) Nuts are relatively high in calories and fat compared to most plant-based foods. But recent studies have shown that routinely consuming them could actually reduce your risk of gaining weight or becoming obese. (Dr Michael Greger) They found out that nut eaters actually tend to be slimmer, smaller waist, lower body mass index, than people who don’t eat nuts, and so they started doing interventional trials where they actually add nuts to their diet. You just give people, say here, eat these, handful of nuts, add them to whatever else you’re eating, and never once did we get the expected weight gain from all those extra calories. (Craig Sechler) Nuts are a potent source of vital nutrients in a plant-based diet. Specific nuts appear to protect against DNA damage, suppress inflammation and cancer, and reduce the risk of heart disease. Just a few servings a week may even help us extend our lifespan. (Tracye McQuirter) We should include nuts in our diet just as we should include beans. They’re loaded with fibre, they’re loaded with antioxidants, they’re loaded with phytonutrients, packed with protein. Some you may find harder to digest than others, so find what you like, what works best for you, and you can soak them. The harder nuts, almonds, you can soak them overnight to make them softer, you can add them to your smoothies, you can soften them by throwing them in your food, in your stir fries. Anything that you would add an animal-based protein to, you can use nuts in the same way. (Dr Michael Greger) When I look at a dish, I think how can I make this healthier? And you can always make anything healthier by adding greens, by adding beans, put nuts or seeds on your salad. The fat in the nuts and seeds actually helps the absorption of the carotenoid phytonutrients found in all the greens, so you actually maximise your absorption of all the nutrition in a salad if you have a whole food source of fat. (Craig Sechler) Legumes, nuts, and seeds are important components of the human diet. Providing our bodies with protein and many other vital nutrients needed to survive. They are a highly flexible and satisfying alternative to animal products, which have been linked to a wide range of serious health risks and are a critical step in the right direction for anyone considering a healthier, plant-based lifestyle. (Tracy McQuirter) You don’t have to go completely, 100% plant-based right away, most people can’t do that, but start where you are and try to do what you can at least once a week, move that up to two or three times a week, and then try to do it at least once a day, and go from there. (Dr Michael Greger) I encourage people to think of this healthy eating transition as kind of a free sample, just give a try for a few weeks, and then see how you feel. With the hope that by the end, after three weeks, you’ll feel so much better, then you have the internal motivation. It’s not someone saying eat your greens, it’s wow, I feel so much better, you couldn’t pay me to go back and eat the way I did before. But, it’s not all or nothing, it’s not black or white. Any movement we can make along this spectrum towards eating healthier can accrue significant benefits. Want to lose weight? Achieve optimal health? Tackle an existing disease/condition without risk of nasty side-effects? Then let's discuss the possibility of your transition to the healthiest diet on the planet...What have you got to lose? Who Drinks & Smokes Most – Meat-Eaters or Plant-Eaters? Heart Surgery or Plant-Based Diet? How Can Parents Get Toddlers To Eat Healthily? Improve Blood Flow By Hanging Upside Down? Lose weight Without Exercising or Making Any Dietary Change? Leptin – The “Fat” Hormone? Vegan Burgers – Healthy & Yum Yum? Forget it! Seven Dates a Day Keeps Colon Cancer Away? What Happens When You Eat a Bowl of Kellogg’s Frosties? Are Nitrates & Nitrites Bad For Us? Eat to Live or Live to Eat? Why Are Vegans Hated So Much? Want to Lose Weight the Easy Way? Can Insufficient Sleep Lead To Serious Diseases? Am I Eating Too Much Fruit? Should I Alkalise My Body? Eating Fruit Between Meals – Bad News for Teeth? Diet Reverses Type 2 Diabetes – How Long Have We Known This? How Much Nutrition Training Do Doctors Have? Onions & Garlic – Better Cooked or Raw? Cow’s Milk Increases Health Benefits of Coffee, Tea and Berries? What’s the Psychology of Plant-Eaters? Current Diabetes Treatment – Practice or Malpractice? Which Legume Packs The Biggest Antioxidant Punch? Can Diet Treat Or Even Prevent Fibroids? If food comes in a packet, don’t buy it! Can Diet Help to Cool Menopausal Hot Flushes? Get Rich or Die Young? It’s the Food! Can Green Tea Treat Fibroids? Is Drinking Distilled Water Safe? Are We More Plant-Eater or Meat-Eater? Organic Meat – MORE Carcinogenic Than Non-Organic Meat? Can ‘Culinary Medicine’ Solve the Health Crisis? How Innocent Do You Want To Be? Can The UK Government Really Combat Child Obesity? Why Don’t French Doctors Want Us to Think French People Die of Heart Disease? Do Plant-Based Diets Help Oral Health? 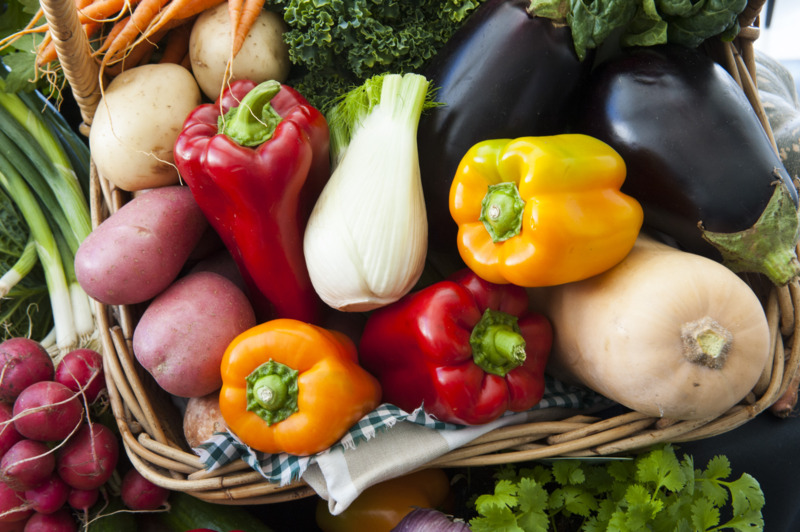 Why Everything You Know About Vegetables Is Wrong – Really?! Original Palaeolithic Diets – Meat or Plants? How Do Paleo Diets Affect Health & Sports Performance? Vegan Society Veg-1: Does It Contain Enough B12? EMS – Beneficial for Muscle-Building & Therapies? UK Medical Students to Get More Nutrition Training? Does Prostate Cancer Screening Work? What Will Your Last 10 Years Look Like? Is the Future PFPB or WFPB? Which Diets Work for Weight-Loss? But I thought Fish Was Good For Me! Diet Madness or Genuine Health Concern? Isn’t Plant Milk a Processed Food? Casein in Dairy = Cancer in Humans? Surely Coconut Oil’s better than Butter?! Weight Loss – Down to Exercise or Diet? Is all scientific research equally valid? Alkaline Diet – So What?! WFPB Through the Back Door? 1. Are All Opinions Equally Valid? 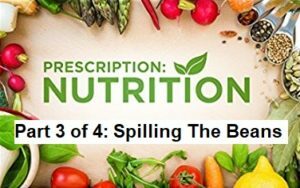 Spirulina – Potion or Poison? Can cancer really be linked to diet? THE PROTEIN COMBINING MYTH – A RAT’S TALE ? Which Is the Best Non-dairy Milk?